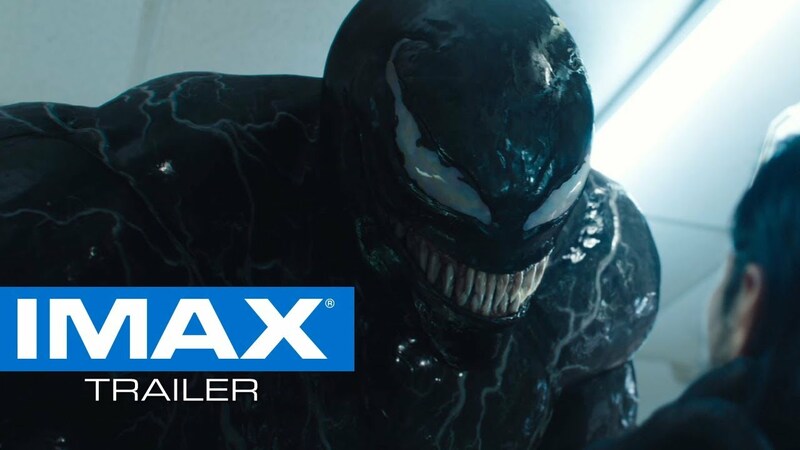 Embrace your inner anti-hero and experience Venom on opening night Thursday 10/4 in IMAX. 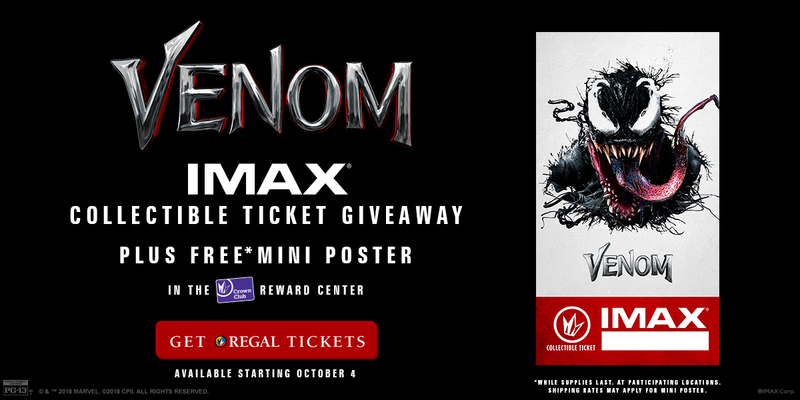 Join the conflict against good and evil with these giveaways at select IMAX theatres! 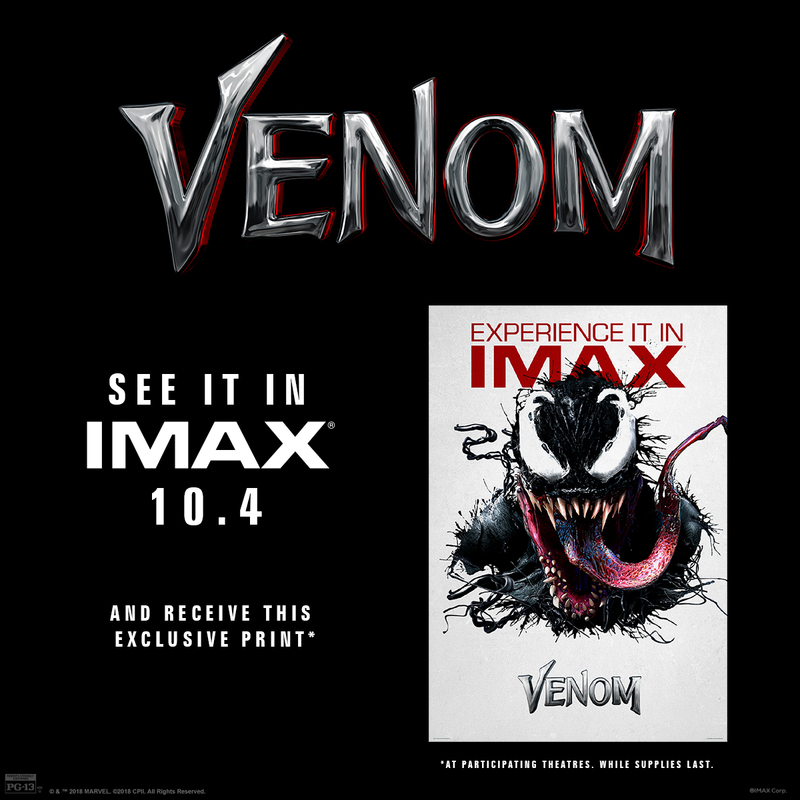 Fans who experience Venom in IMAX at Regal Cinemas opening weekend will receive an exclusive collectible ticket, while supplies last. Plus get a free promo code to redeem for a mini poster in the Crown Club Reward Center. Giveaways are available while supplies last and only at participating theatres. Full shipping rated apply for mini poster.